XbrosHost provided via research that a large percentage of internet users leave websites when asked to provide any information about them, simply because their websites was not a secure websits. There is no other distinguish way to get user’s trust except enabling SSL on your website or an SSL Certificate for your website. As XbrosHost had get contract with Thawte, so we provide large opportunities. 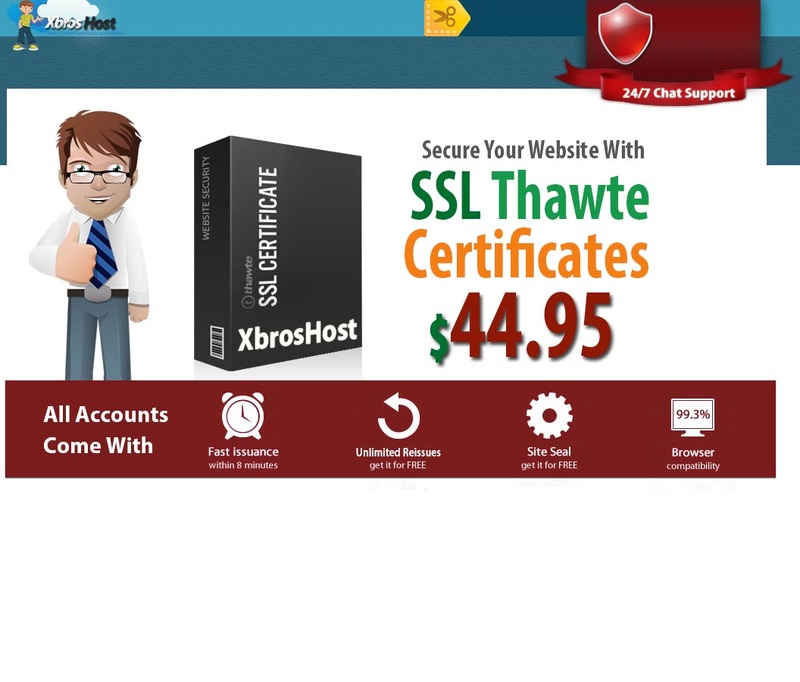 Thawte is the first company to introduce the commercial SSL certificates.